The start of another year….are you excited? Have you written your business plan for the year? Do you have your Marketing Strategies ready to go? Have you planned your holidays yet and scrubbed those dates out of your diary? Have you reflected on your business from last year and looked at what you can improve on? Have you reviewed your website to see if it is the lead generating magnet that it should be? Have you done a time analysis on the jobs that maybe are taking far too long, and looked at ways of doing them quicker or outsourcing them? Have you set some financial goals as a target that you can aim for? If you haven’t done a few of these you may already be behind in creating success for your business this year. This is the way I plan the year. Sit in it and press the button marked “This Time Next Year” and be transported to this time next year. Get it? Now write yourself a letter describing the year that was 2016. 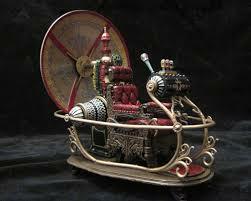 Here is mine after my Time Machine journey. “Wow! Another year has seemingly flown by and it’s the first week of 2017. What an amazing year I had last year. In January I was able to increase my database of photographers around the world to over 10,000, and through my regular weekly newsletters I built up a waiting list of photographers who want me to coach them. To facilitate this, the creation of my brand new online course has enabled me to help a much bigger number of photographers move forward in their businesses. Wendy and I spent the whole month of March in New York and it was totally amazing. We had never been there before and were both totally blown away with, well, everything. Great to catch up with Millionaire photographer Bradley Rowley. He spent a lot of time with me in his New York studio, and I came away super inspired, and with a lot more understanding about the high end portrait market. National Family Portrait Month in May was an even bigger success than last year, with over 100 A.I.P.P. members participating in raising over $10,000 for the Women’s Cancer Foundation. Many families now have a family photograph, that they probably would not have had done but for this promotion. I have generated well over $500,000 new income for my clients, via my proven Marketing Strategies. Write it down and send it to me, or your partner or a friend, and become accountable. Ever Success……You Really Do Deserve It.